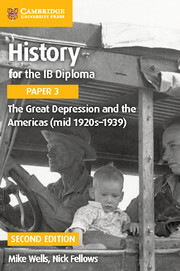 This coursebook covers Paper 3, HL option 3: History of Asia and Oceania, Topic 13: Impact of the World Wars on South-East Asia of the History for the International Baccalaureate (IB) Diploma syllabus. 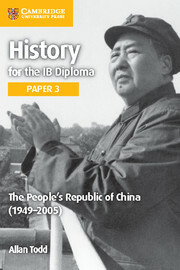 Tailored to the requirements of the IB syllabus and written by an experienced examiner and teacher, it offers authoritative and engaging guidance on the changes in South-East Asia produced by the First and Second World Wars, including the spread of political ideas, the attitude to European powers and the rise of nationalist claims for independence. 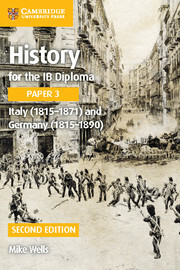 This History for the IB Diploma Paper 3 coursebook provides activities that encourage an exploratory approach to history, as well as a wide range of primary and secondary sources that inspire engagement with multiple historical perspectives and interpretations. It also provides links to Theory of Knowledge and Paper 3 exam-style questions to help improve student performance and provide preparation for assessment. 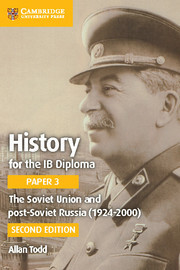 Written by an experienced examiner, this authoritative and comprehensive text covers a single Paper 3 topic, to help students adopt an investigative and thorough approach to their study. 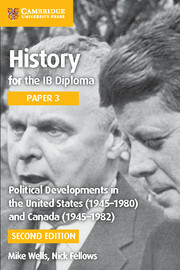 Activities throughout the chapters encourage an exploratory and inquiring approach to historical learning. 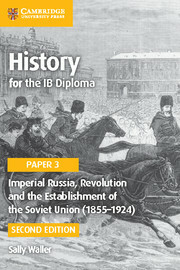 A wide range of primary and secondary sources develop students’ analytical skills. 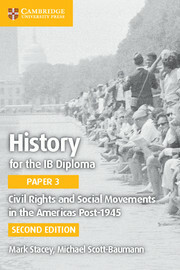 Opportunities for balanced historical debate inspire engagement with multiple historical perspectives and interpretations. Links to Theory of Knowledge concepts stimulate reflective discussion. Key Concept links highlight how the 6 new key concepts can be integrated into the course. Paper 3 exam-style questions help improve student performance and provide preparation for assessment. Chapter 2. The First World War and the Treaty of Versailles: 2.1. Why was South-East Asia involved in the First World War? 2.2. How did the war affect South-East Asia? 2.3. 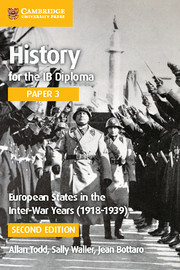 What were the results of the Treaty of Versailles for South-East Asia? 2.4. Why was there resentment around the Treaty of Versailles? Chapter 3. Initial Japanese victories in South-East Asia, 1940–42: 3.1. Why did Japan become involved in the Second World War? 3.2. Why was Japan so successful from 1940 to 1942? 3.3. How did the victories affect Japan and South-East Asia? Chapter 4. The nature and impact of Japanese occupation: 4.1 . How did Japan treat people in Korea, Taiwan, Manchuria and China? 4.2. How did Japan treat people in Malaya, the Philippines, Burma, Indochina and Indonesia? 4.3. How did Japan try to spread its culture in South-East Asia? Chapter 5. 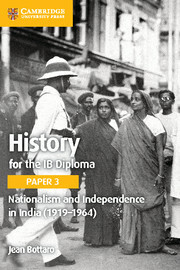 The growth of nationalism and the role of independence movements: 5.1. What are the historical theories about the nature of nationalism? 5.2. How did the colonial powers react to the defeat of Japan? 5.3. How did nationalist groups contribute to independence in Indonesia? 5.4. How did nationalist groups contribute to independence in Malaya? 5.5 . How did nationalist groups contribute to independence in Vietnam? 5.6. What difference did collaboration with or resistance to Japanese occupation make to the coming of independence? Chapter 6. The emergence and influence of Sukarno, Ho Chi Minh and Tunku Abdul Rahman: 6.1. Why did Sukarno emerge as the leader in Indonesia? 6.2. What was Sukarno's contribution to the coming of independence in Indonesia? 6.3. Why did Ho Chi Minh emerge as the leader in Vietnam? 6.4. 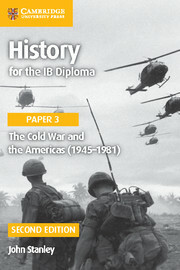 What was Ho Chi Minh's contribution to the coming of independence in Vietnam? 6.5. Why did Tunku Abdul Rahman emerge as the leader of Malaya? 6.6. What was Tunku Abdul Rahman's contribution to the coming of independence in Malaya? Chapter 7. Reasons for Indonesian independence, 1949: 7.1. How was Indonesian independence achieved in 1949? 7.2. Why was Indonesian independence achieved in 1949? Chapter 8. 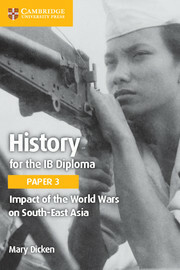 Cambodia: political, social and economic effects of the world wars: 8.1. What was the impact of the First World War on Cambodia? 8.2. How did the Second World War affect Cambodia? 8.3. Why was Cambodia able to become independent in 1953? 8.4. What role did Prince Sihanouk play in the coming of independence?